A major developer converted an old hospital complex into apartments. This involved replacement of timber elements with new pre-treated timber throughout. However, inadequate provision was made to prevent water penetration during works and for drying during and after refurbishment. In particular, the original air bricks to the sub-floor voids became blocked. Party walls and mineral fibre insulation obstructed through and cross ventilation. Localized defects in damp proofing and failures in ground and surface drainage allowed further water penetration. This provided the conditions for dry rot (Serpula lacrymans) infection to reactivate in the damp brickwork at the base of the walls. The infection spread across ground-floor structures in 20 of the new apartments, resulting in structural decay. Evidence of this dry rot infection and decay became visible to the occupants. Using non-destructive techniques, H+R investigated the extent and cause of the dry rot infection and decay. 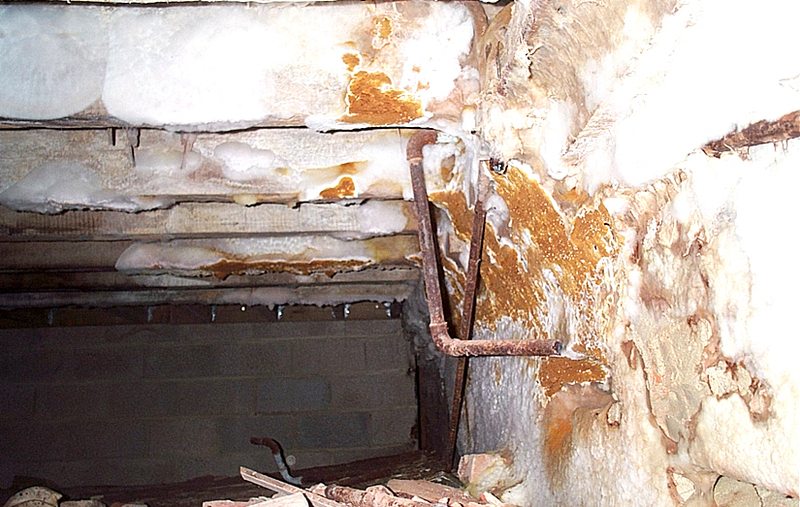 We provided remedial specifications for the repair of decayed structures. The specifications ensured isolation of timber elements from the brickwork and provision of through and cross ventilation of the sub-floor voids. H+R supervised the remedial works as a ‘rolling programme’ and using no chemical remedial timber treatments or wall irrigations. This minimized costs and disruption to occupancy. Upon completion, we provided insurance backed guarantees, providing security for the purchasers and maintaining the capital value of the properties.